Buyers of scrap metal, aluminum, brass, copper, stainless steel and electric wire. IN OBSERVANCE OF THE EASTER HOLIDAY, WE WILL BE CLOSED ON FRIDAY, APRIL 19TH & SATURDAY, APRIL 20TH. Upstate Metal Recycling, Inc. is an area leader in buying and processing scrap. We buy any quantity or volume of scrap including steel, aluminum, brass, copper, stainless steel and insulated or bare electric wire. We are a member of the American Metal Market® to ensure we are staying competitive with our pricing. Prices can fluctuate daily and are subject to change. We reserve the right to adjust pricing due to changing market conditions. We also have the right to refuse to honor any incorrect Internet Daily Pricing due to market variation. 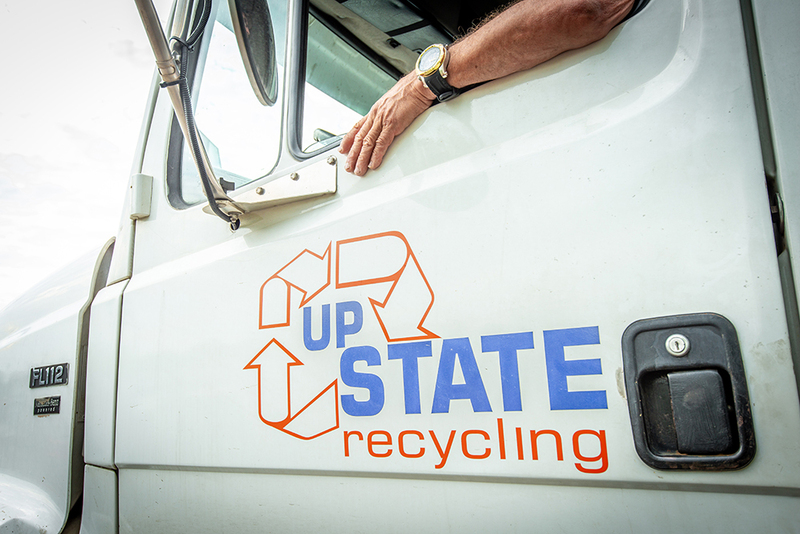 Here at Upstate Metal Recycling, we believe in the preservation of our plant, a cleaner, safer and healthier world where people can prosper for generations to come. We must be custodians of our environment and have a responsibility to redevelop our planet with the materials we are entrusted to handle every day. Operations – Constantly improving our operating practices for greater environmental efficiencies. Material Management – We recognize the importance of managing the earths metals and are constantly exploring new options to capture value and energy from metal materials. Communities – We are dedicated to being a good neighbor to the communities in which we live and work. This includes investing in local communities and volunteerism. Safety – We prioritize safety above all else. When people feel safe, they can fully participate in the opportunities that are available to them every day. People – We believe that engaged employees are successful employees and are constantly looking at ways to keep our company as a premier place to work. We buy many items made of aluminum, copper and steel. For a full list of the type of items we can buy click HERE. Do I need a title to sell a vehicle? Yes. It is against the law for us to buy a vehicle without a title. Every scrap vehicle must have a title. What are unacceptable recycling materials? We do not accept e-waste or any type of propane cylinders. We will not accept mobile home trailers or campers unless they are stripped down and completely empty. Click HERE for pricing on aluminum cans, misc steel and copper. For any other pricing, give us a call @ (260) 747-2000. Copyright © 2018 Upstate Metal Recycling, Inc.